Sago Palm – Although these palms look nice, the entire plant contains a strong toxin known as cycasin. Consuming a single seed can be fatal! 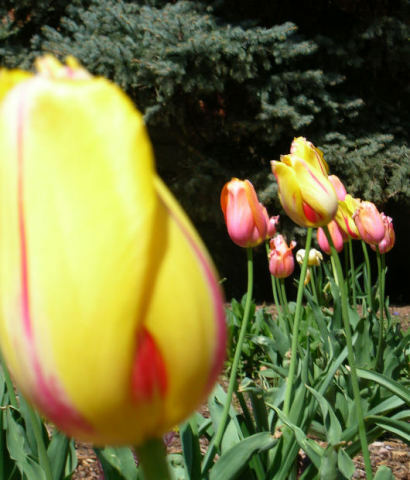 Tulip – A big danger to digging dogs, since tulip bulbs can severely harm their digestive systems, hearts and nervous systems. Chrysanthemum – Unfortunately, these pretty flowers can cause drooling, vomiting and diarrhea for the animals that eat them. 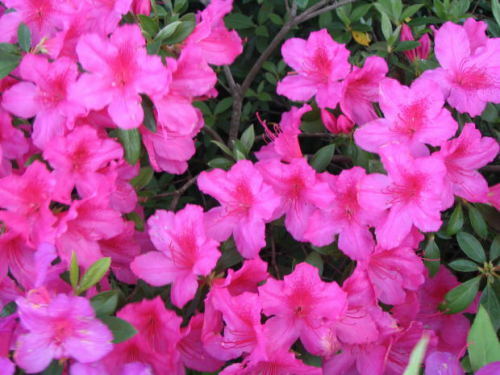 Azalea – When these flowers are wolfed down by careless creatures, you see results comparable to eating chrysanthemums, but with the added risk of central nervous system damage, coma or death! Mistletoe – This Christmas staple causes a whole host of horrible symptoms when eaten, such as vomiting, diarrhea, cardiovascular collapse, dyspnea, bradycardia and a host of digestive problems. 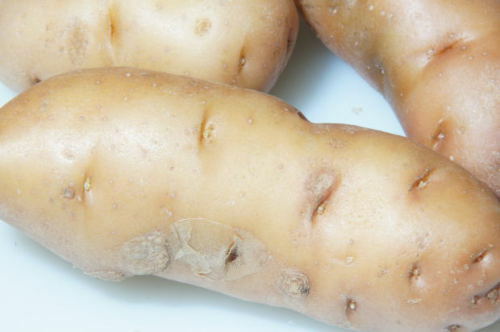 Potato – Like the apple, potatoes are still a yummy treat, but be sure that your pets don’t eat any shoots or sprouts due to the growing vegetable’s high levels of glycoalkaloids. Swallowed shoots and sprouts may cause diarrhea, vomiting and other tummy troubles. Poinsettia – Another Christmas favorite that isn’t very good for our furry friends, as it causes mouth-burning and stomach irritating symptoms similar to the elephant ear. Much less toxic than you were led to believe, but it’s still not a festive salad for someone’s “dopey” cat! Take care whenever you bring home a new plant and do your research whenever you can. If you suspect that your pet has been poisoned, call a vet or the ASPCA Animal Poison Control Center at 888-426-4435. A little safe gardening now can save you and your pets a whole bunch of trouble! Hand-Made Fortune Cookies For Your Cat? No Kidding!